Practical advice from some of today’s top early stage investors and entrepreneurs TechStars is a mentorship-driven startup accelerator with operations in three U.S. cities. Once a year in each city, it funds about ten Internet startups with a small amount of capital and surrounds them with around fifty top Internet entrepreneurs and investors. Historically, about seventy-five percent of the companies that go through TechStars raise a meaningful amount of angel or venture capital. 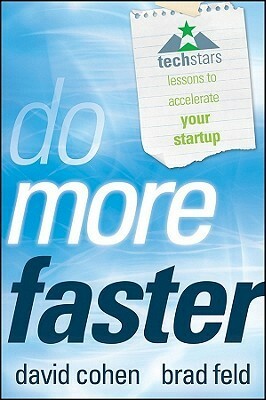 Do More Faster: TechStars Lessons to Accelerate Your Startup is a collection of advice that comes from individuals who have passed through, or are part of, this proven program. Each vignette is an exploration of information often heard during the TechStars program and provides practical insights into early stage entrepreneurship. Contains seven sections, each focusing on a major theme within the TechStars program, including idea and vision, fundraising, legal and structure, and work/life balance Created by two highly regarded experts in the world of early stage investing Essays in each section come from the experienced author team as well as TechStar mentors, entrepreneurs, and founders of companies While you’ll ultimately have to make your own decisions about what’s right for your business, Do More Faster: TechStars Lessons to Accelerate Your Startup can get your entrepreneurial endeavor headed in the right direction.